…financial accounting programs like QuickBooks are rapidly embracing this shift thanks to specialized third-party office and accounting-hosting providers (like Cloud9 Real Time) . According to John McMahon, a developer of spreadsheet tools, typically these are Software as a Service (SaaS) and Platform as a Service (PaaS) subscription-based Web applications, which provide a solid subset of the standalone product functionality. 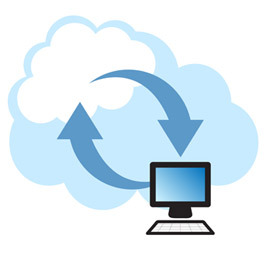 Assuming a dependable broadband Web connection, and that the account(s) are kept current, the new cloud approach offers key benefits versus buying and maintaining both the desktop software and the localized in-house server and IT costs and risks. Like their desktop counterparts, these online accounting and bookkeeping products can all exchange data with Excel, allowing the import of spreadsheets and the export of reports and data—all of which is of obvious importance to accountants. And because these online packages often lack some of the reporting power and “what-if-scenario” capabilities of their desktop versions, there is even more need for a powerful spreadsheet system that matches the cloud-based solutions being considered. Because there are many benefits to an online spreadsheet that allows collaboration and sharing, and an ongoing need for desktop spreadsheet programs with the ability to handle larger files—what is needed is a hybrid solution combining a desktop spreadsheet editor like Excel or OpenOffice in combination with a compatible online spreadsheet, working together—not exclusively. Cloud computing transforms how businesses large and small perform their services. Most business processes can and will be migrated to the cloud sooner or later. 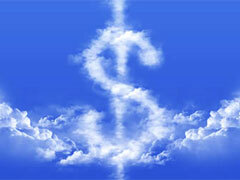 Accounting and financial services is one area in particular than can most benefit from cloud computing. The question is, are you ready to take your accounting firm and clients into the cloud?